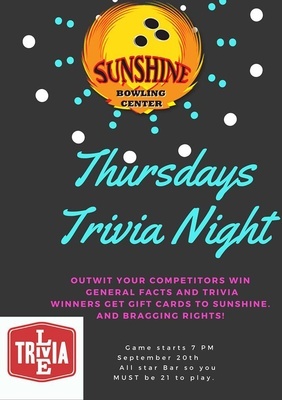 This is a fun event for teams to compete with all the shared knowledge to win prizes. 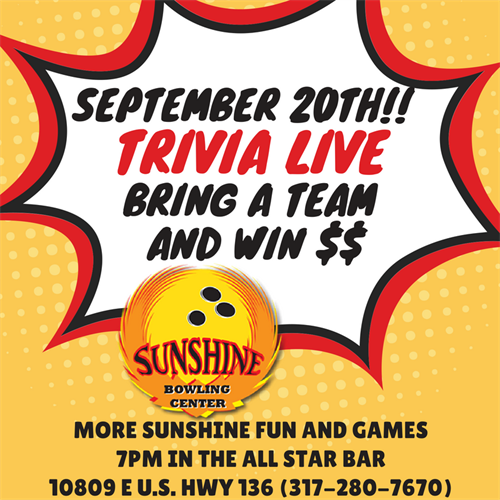 This can be a team building event for companies, Friends, Neighbors, Family.This is a 21 and over event as it will be held in our remodled bar here at Sunshine Bowling Center. We are working with Challenge entertaiment to run the evenings event.